Seeger GmbH Micro - Malting Machine is suitable for research on barley. The whole mating process - steeping, germination and kiln can be operated in the same boxes, controlled by computer automatically. The company has fully -fledged laboratory to carry out the various testing and product developments by its technically qualified experts in the field of food processing. 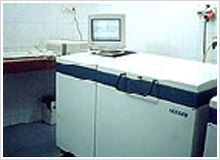 The company is equipped with a lab scale batch evaporator in which it can develop various types of malt extracts and syrups. 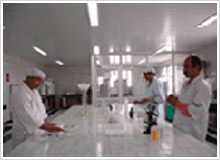 Training and health check-up for workers & staff is done periodically for all the process. Calibration of machines, equipments & instruments is validated and done periodically.